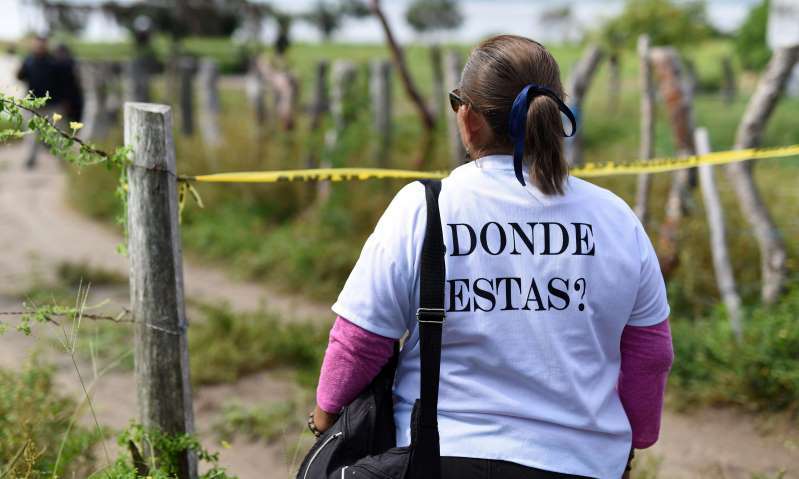 © Reuters A woman from Solecito Collective, a support group for parents of missing children, wears a shirt that reads “Where are they?” as she stands near the site of a mass grave in Veracruz, Mexico. More than 6,600 children and adolescents have disappeared in Mexico over the past dozen years as the country’s rising drug violence spread to previously placid corners of the country claiming victims among even the youngest citizens. The National Registry of Missing and Disappeared Persons has recorded 37,435 individuals as unaccounted for as of April 2018. Some 18% of the missing are minors, according to local media reports on Friday. Mexicans have been going missing in alarming numbers since the country launched its militarized crackdown on drug cartels in December 2012. But the problem has gone largely unrecognized until recently, and victims’ families suffered the stigma of guilt by association amid a perception – often encouraged by the authorites – that victims of the drug war were somehow complicit in the crimes committed against them. Meanwhile, Mexican authorities have often been slow to search for missing people, leaving families of the disappeared to carry out their own investigations. Authorities in eastern Veracruz state last month announced the discovery of a series of mass graves containing at least 172 skulls. In an effort to identify the missing, the state prosecutor’s office posted photos online of personal effects unearthed at the site – including children’s clothing. The new figures prompted outrage among experts and newspaper commentators. “(With) the disappearance of a boy or girl … it is unacceptable the pain and suffering caused by the uncertainty (and) the attitudes of indifference shown by public servants,” Pérez said at a forum in Mexico City on the rights of children. According to Reforma, 75% of the child disappearances occurred during the first five and a half years of outgoing president Enrique Peña Nieto’s six-year administration. Peña Nieto leaves office 30 Nov, after a term which has seen a disastrous escalation in violence. President-elect Andrés Manuel López Obrador has promised to pursue a different approach on crime, including an amnesty for those in low-level jobs in the illegal drugs business – such as young people often used as cartel lookouts. But López Obrador’s proposals still remain short on detail, and he has promised to keep soldiers in the streets for the time being – despite rising allegations of human rights abuses by the military.